The state has questioned the impartiality of Justice Joyce Wheeler, but she stays on without making her reasons public. 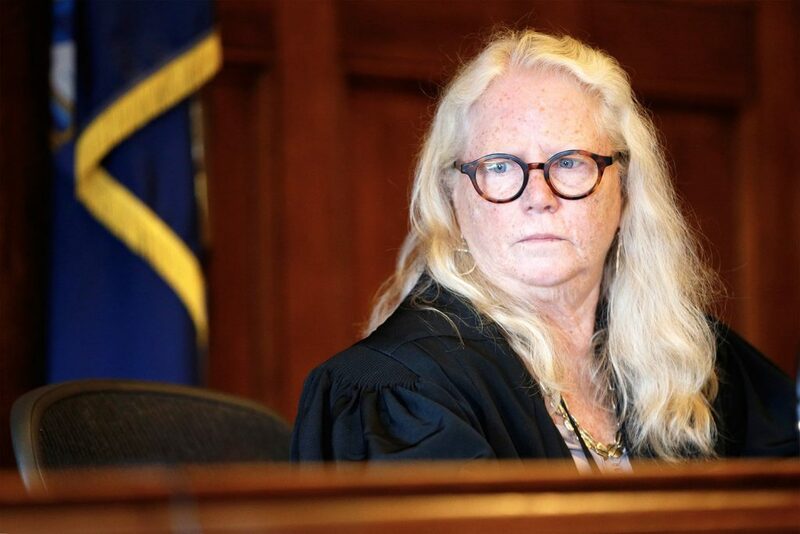 A judge assigned to review the murder conviction of Anthony Sanborn Jr. will not recuse herself despite a request by the state that she be removed from the case because of two comments she made at Sanborn’s bail hearing, the Portland Unified Criminal Court clerk’s office said Tuesday. Justice Joyce Wheeler announced her decision orally during an in-chamber conference Tuesday morning, the clerk’s office said. There was no written record of the judge’s decision, or a written record of the state’s motion for her to recuse, which also was made orally during another in-chamber conference Friday. Justice Joyce Wheeler has ordered a radio station and a TV station to produce outtakes of interviews with the prosecutor in the case of Anthony Sanborn Jr., second from left, as he challenges his conviction in the 1989 murder of Jessica L. Briggs. 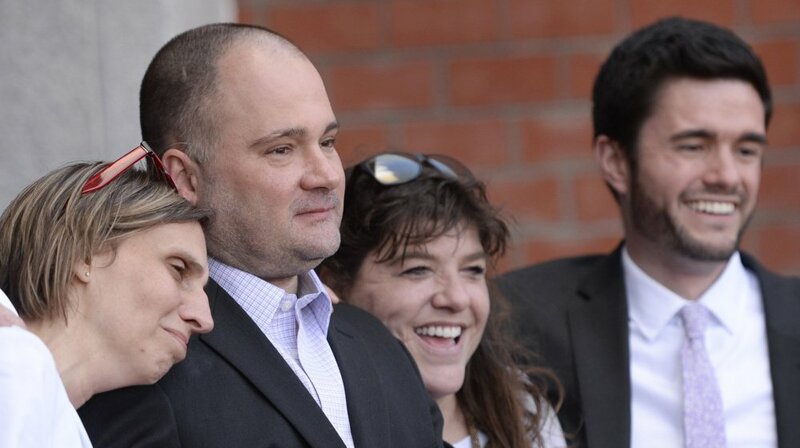 Sanborn's wife, Michelle, left, his attorney Amy Fairfield and paralegal Keegan Fairfield accompanied him April 13 as he was freed on bail set by Wheeler. But the challenge to Wheeler was made public in a motion opposing the recusal by Sanborn’s attorney, Amy Fairfield, who said attorneys for the state who have criticized Wheeler took her comments at the bail hearing out of context. In a brief statement, the Attorney General’s Office, which prosecutes all murders and represents the state in appeals and post-conviction reviews such as Sanborn’s, confirmed that it would not challenge Wheeler’s decision to stay on. “We accept her ruling and are prepared to move forward,” Timothy Feeley, spokesman for the Attorney General’s Office, said in a brief written statement. The state’s request was based on two statements that Wheeler made when she decided to grant Sanborn bail from the Maine State Prison on April 13, 25 years after he was convicted of murdering Jessica L. Briggs. Sanborn is the first murder suspect in state history to be released on bail during a bid to overturn his conviction. New evidence in the case uncovered by Fairfield suggests that Portland police coerced witnesses to provide false testimony implicating Sanborn. Some of those witnesses, including the only person to claim to have witnessed the murder first-hand, have recanted. The officers, retired detectives James Daniels and Daniel Young, have denied the allegations in formal affidavits filed in court. Briggs was 16 when her body was found in Casco Bay near the Maine State Pier. The investigation eventually centered around a group of street kids who Briggs traveled with in Portland. 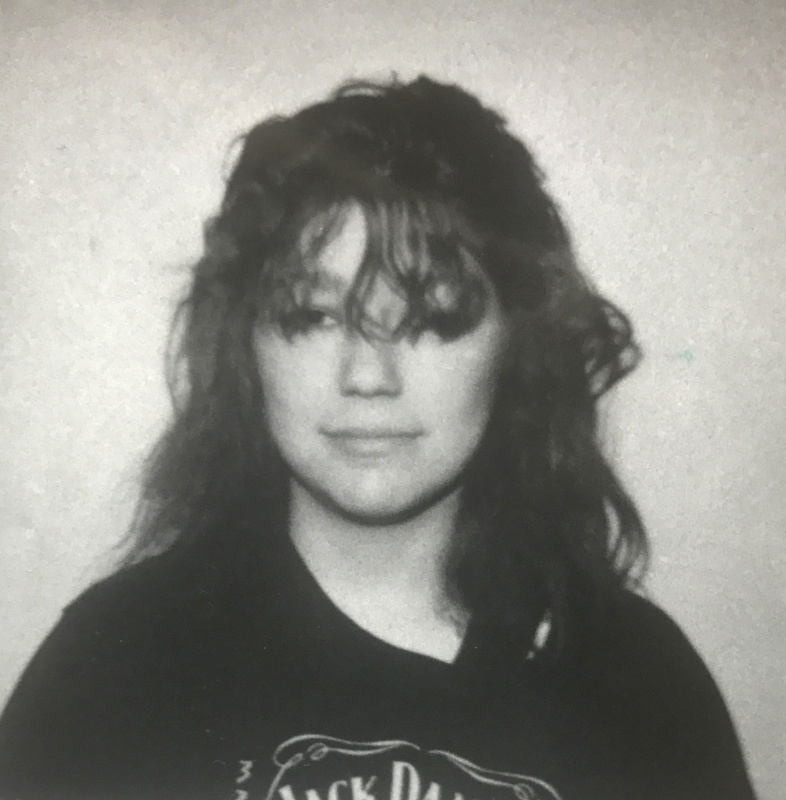 The first Wheeler statement cited in the recusal request by Assistant Attorney General Meg Elam, who is representing the state, was a discussion by the judge about the state’s star witness at Sanborn’s 1992 trial, Hope Cady, who said at the time that she saw Sanborn stab and kill Briggs on a darkened pier around midnight on May 24, 1989. But Cady recanted her testimony last month and said she had been threatened by detectives that if she did not go along with what police told her to say, they would lock her up in the Maine Youth Center. Cady also said that she had vision problems as a child, and her vision was 20/200. Fairfield alleges that these facts were never disclosed to the defense in 1992, and could have led to a different outcome at trial. After Cady recanted, Wheeler delivered a statement summarizing what had been presented and said she found Cady’s recantation to be credible. Susan Briggs, Jessica Briggs’ stepmother, said in a phone message to the Press Herald Monday evening, before Wheeler announced her decision to remain on the case, that the family plans to file a complaint with the judiciary regarding Wheeler’s comments and behavior. Briggs specifically cited the reference that Wheeler made about not being able to apologize to Sanborn. The inference, Briggs said, was that Wheeler would apologize in the future. Briggs did not return calls Tuesday requesting further comment. Wheeler was first appointed to District Court in March 1994 by Gov. John McKernan, and was appointed to the Superior Court in June 2005 by Gov. John Baldacci. She retired in 2015 and was appointed as active-retired in May of that year by Gov. Paul LePage. The active-retired status lasts for seven years, with an option for reappointment. Before joining the bench, Wheeler previously worked as general counsel to the University of Maine System for roughly five years. She has presided over several high-profile cases, including the trial of Linda Dolloff, who tried to kill her husband with his favorite softball bat in 2009 before shooting herself in an attempt to cover up the crime. In 2013 and 2014, Wheeler oversaw the dispute between Portland and activists over the fate of Congress Square Park. In 2015, she briefly presided over the trial of Mark Strong Sr., the Thomaston man accused in a Kennebunk prostitute operation. She later recused herself after a defense attorney argued that a connection between one of Wheeler’s law clerks and a prosecutor on the case could create a perception or appearance of bias.